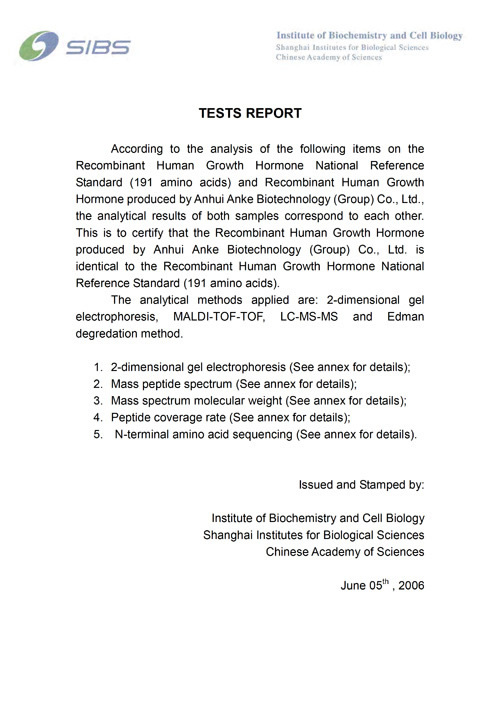 Ansomone is a kind of sterile, lyophilized formulation of Recombinant Human Growth Hormone (HGH) with 191 amino acids, derived from engineering E.coli, and it is identical to the natural growth hormone in amino acid sequence and three-dimension structure. Ansomone is indicated for growth failure due to endogenous growth hormone deficiency (GHD) and Turner disease or Kidney failure. can be used to heal up the surgery wound or burned wound and it has good effect to preservation for human aging. Our manufacturing plants of are certified for GMP Standard by SFDA.